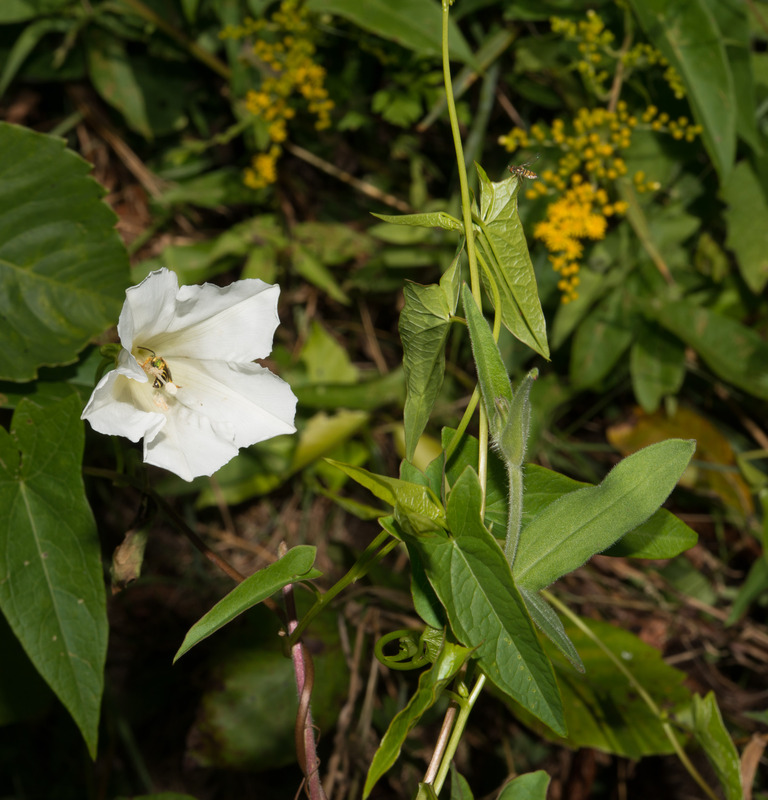 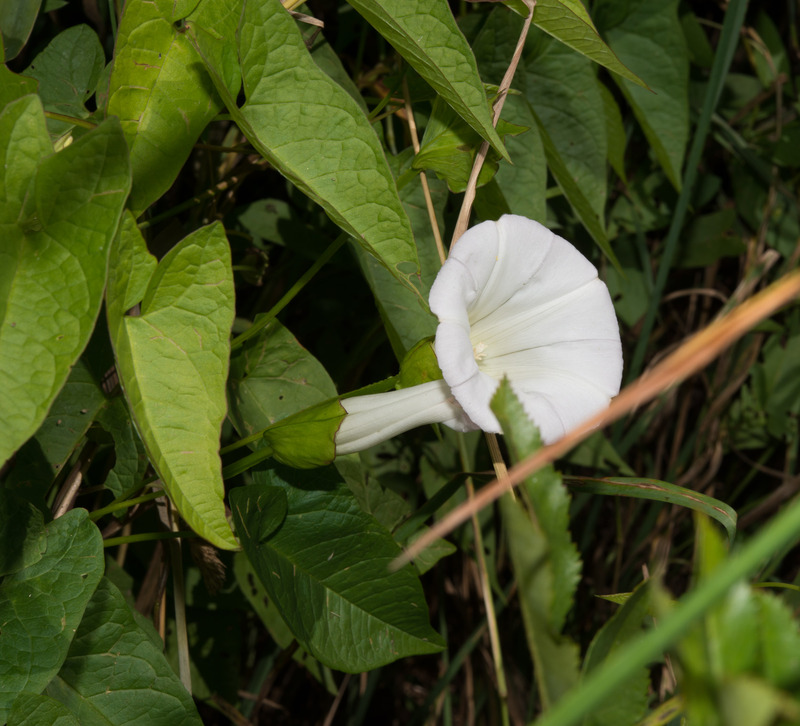 Bindweeds, sometimes called wild morning glories, are vines that twine around other plants or trail along the ground. 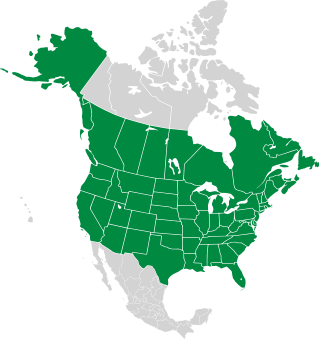 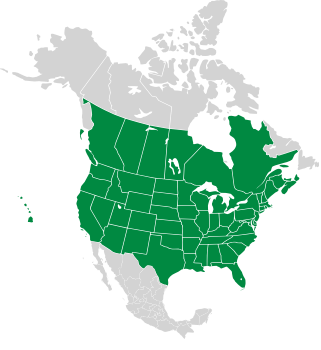 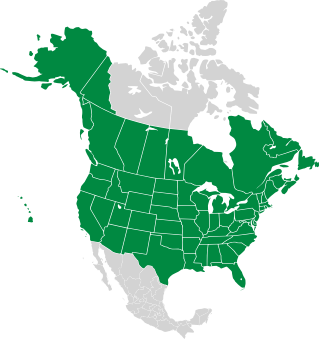 They are native to temperate regions of Europe, Asia, Africa, North America, Australia, and Argentina. Though attractive, they are often considered invasive. Identification: Plants are vines 20-79" (50-200 cm) high. 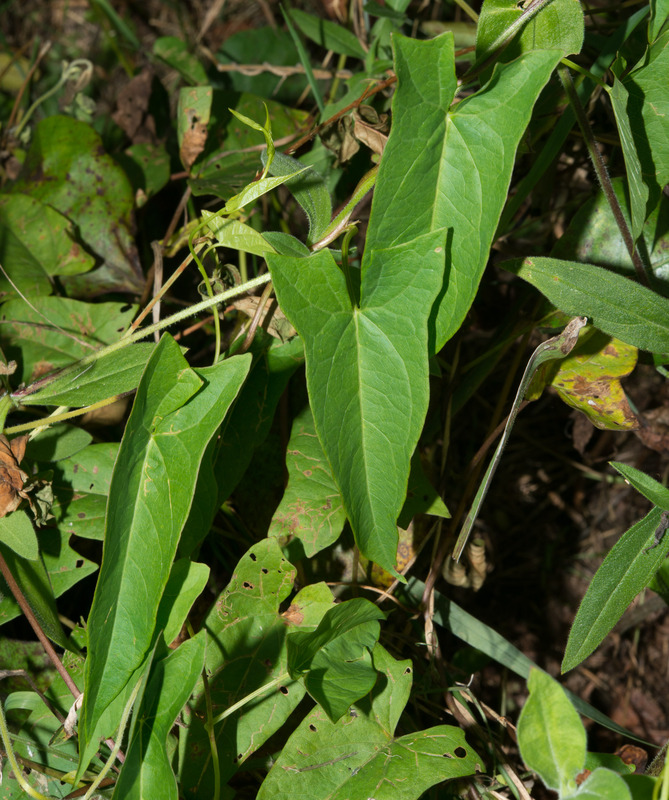 Leaves are ¾-1¾" (2-5 cm) × ⅜-1" (1-3 cm) wide, either linear or shaped like arrowheads (sagittate). 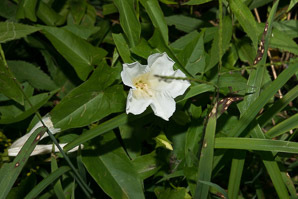 The flowers are trumpet-shaped, ⅜-⅞" (1-2.5 cm) in diameter, and white or pale pink. Seeds are ⅛" (3.2 mm) long, with two flat sides and a convex side, like an orange segment. 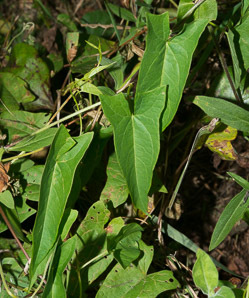 Plant Vines are 20-79" (50-200 cm) high. 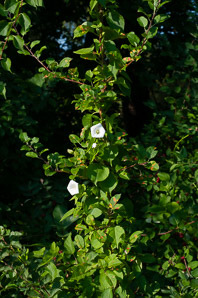 Vine up to 12’ in length, stem light green or red Vine up to 3' (1 m) long. 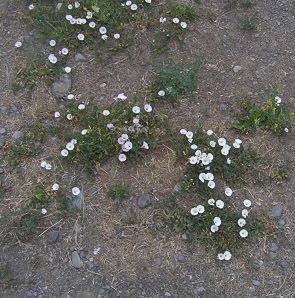 At leaf nodes there is an ocrea. Flowers Racemes are 2-8" (5-20 cm) long, with small greenish flowers. 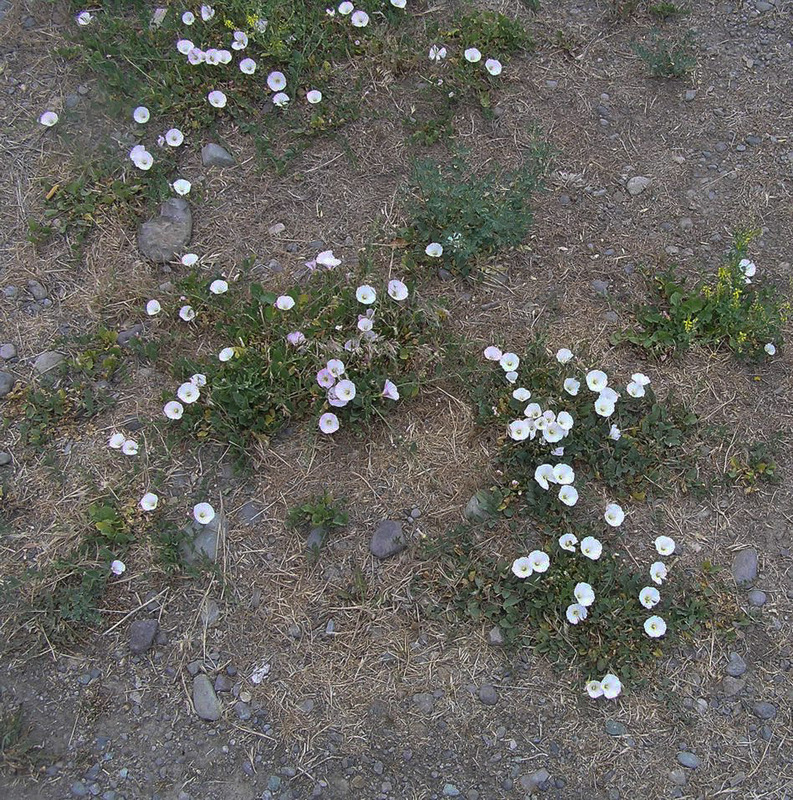 Fruit Greenish, with white or pink borders. 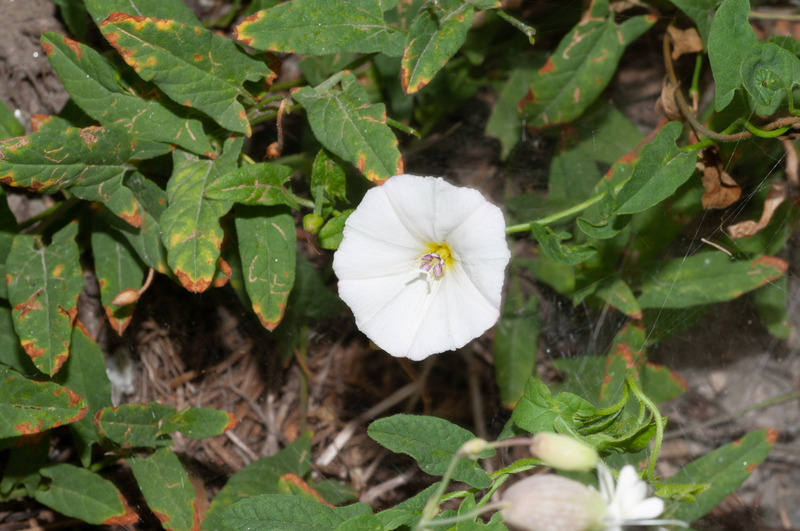 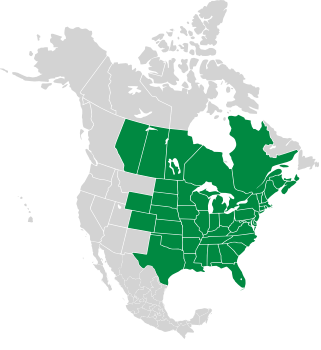 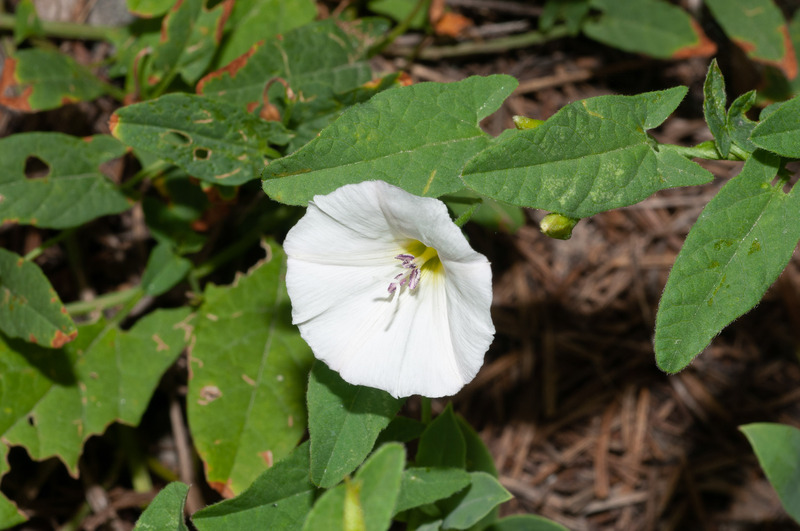 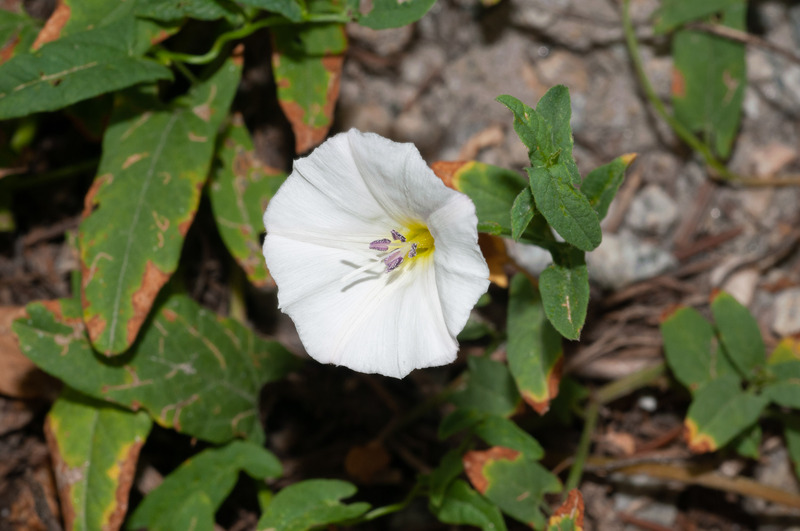 Convolvulus arvensis description by Thomas H. Kent, last updated 12 Oct 2018.